Jan Kath Design, international designers and creators of handcrafted carpets, have partnered with The Alpha Workshops to create the Jan Kath Design Internship program. The program funds 3 three-month internships for Alpha Workshops Studio School graduates, allowing students to transition into advanced skill-building as paid interns in The Alpha Workshops Studios. With core values including fair pay and good working conditions for all, Jan Kath works worldwide to support the artisans who craft their modern, minimalist designs and collections. Programs from the Jan Kath team have created opportunities for young people and adults, both in the U.S. and abroad, to explore their creativity and their potential for creative employment. This philosophy partners perfectly with The Alpha Workshops Studio School, where men and women with disabilities train to become artisans in our 36-week program and build marketable creative techniques and work readiness skills to prepare them for employment. Students who excel have the opportunity to apply for internships in The Alpha Workshops Studios, our award-winning professional design and decorative arts studios staffed exclusively by graduates of the AWSS. 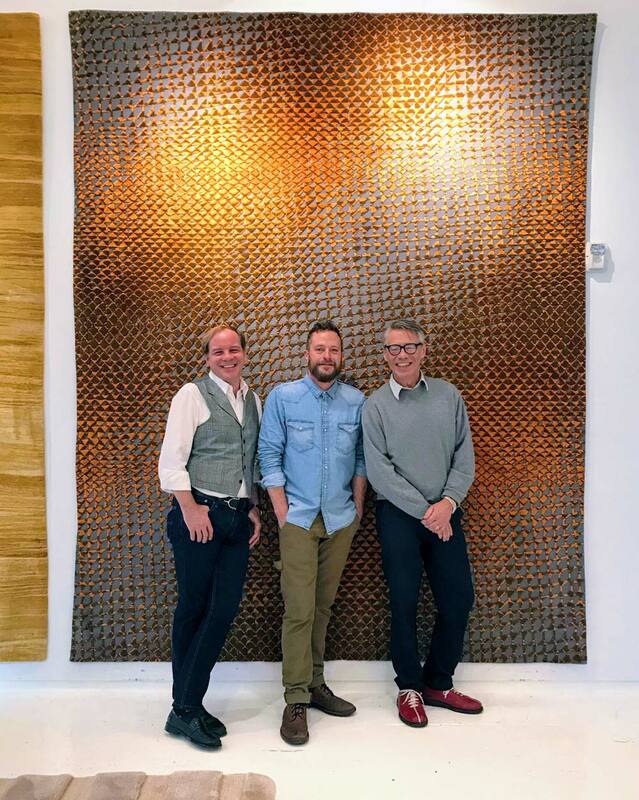 The design studios are a highly-respected and competitive enterprise: artisans create painted and gilded finishes, custom furniture and lighting, decorative plaster treatments, and handmade wallpaper. The first intern to receive the Jan Kath Design Internship is Jeff Beler (pictured center), who will be interning in both the AWSS and the Studios. Jeff will work with Alpha staff to facilitate programming for vulnerable young people throughout New York City.